St Ambrose Church Fete Westbourne. 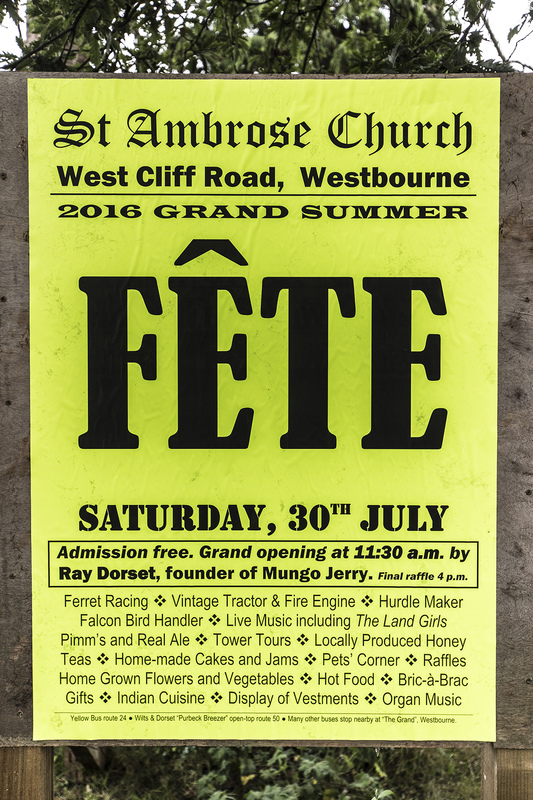 St Ambrose Church, West Cliff Road, Westbourne is holding its Grand Summer Fête on Saturday 30 July 2016. Admission is free, and Ray Dorset, founder and lead singer of Mungo Jerry, will be opening the fête at 11.30am. A Vintage Tractor and Fire Engine will be on display, along with a Hurdle Maker and Falcon Handler. It promises to be a great time, so make a date in your diary now!